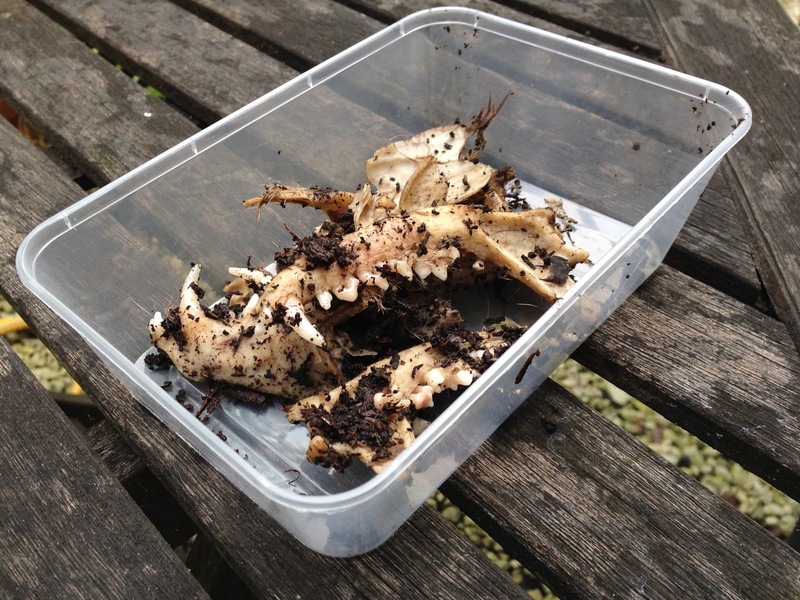 On advice from Jake McGowan-Lowe (of Jake's Bones fame) I moved my fox head from the bucket of water to a bin full of compost only a few days after my recent post. It turned out to be excellent advice, because it decomposed quickly there and with virtually no discernable smell. Sadly, on checking to see how it was coming along it was quickly clear that I would not be able to retrieve an intact skull. Juvenile animal skulls are notoriously delicate, as the bones are unfused; additionally, I had had some concerns that the head had already been damaged, and this proved to be the case. My guess is that a dog rolled on it, just as mine nearly did. 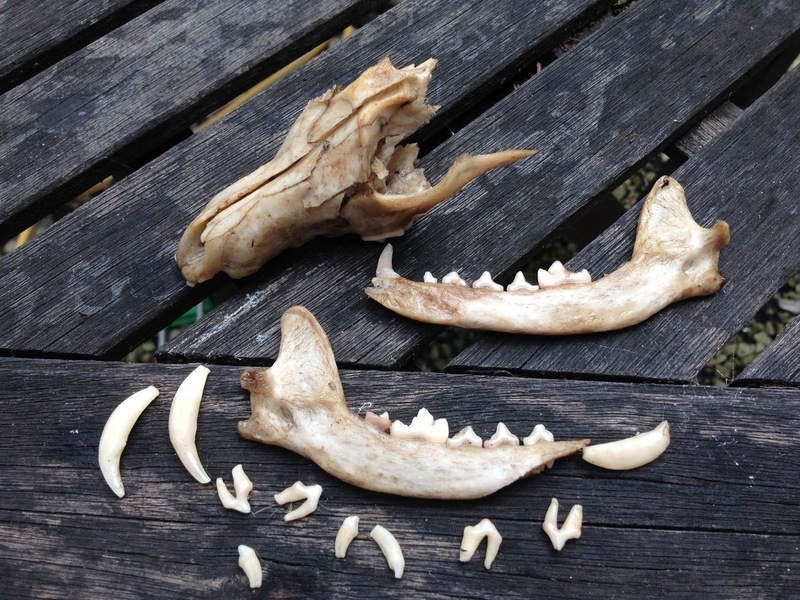 However, I do have the lower mandibles and several parts of the maxilla, zygomatic arch and nasal bones – and I have many of the teeth, including three of the four huge canines, two tiny upper incisors, two carnassial molars still in situ and several double-rooted premolars. I'll clean them in peroxide and see how they come out.